Portable, weather-resistant, and incredibly lightweight, the Floureon Solar Power Bank will keep smaller USB-powered devices charged and ready to go when Dad is miles away from civilization. The battery pack includes a built-in flashlight to help dig around in a dark pack or start a fire after the sun’s gone down. The rugged, rubberized battery is weather-resistant, meaning it’ll survive splashes and light showers when Dad is hiking, camping, and traveling. It features two USB outputs for powering tablets, smartphones, and media players, with a Micro-USB input for charging the battery pack. 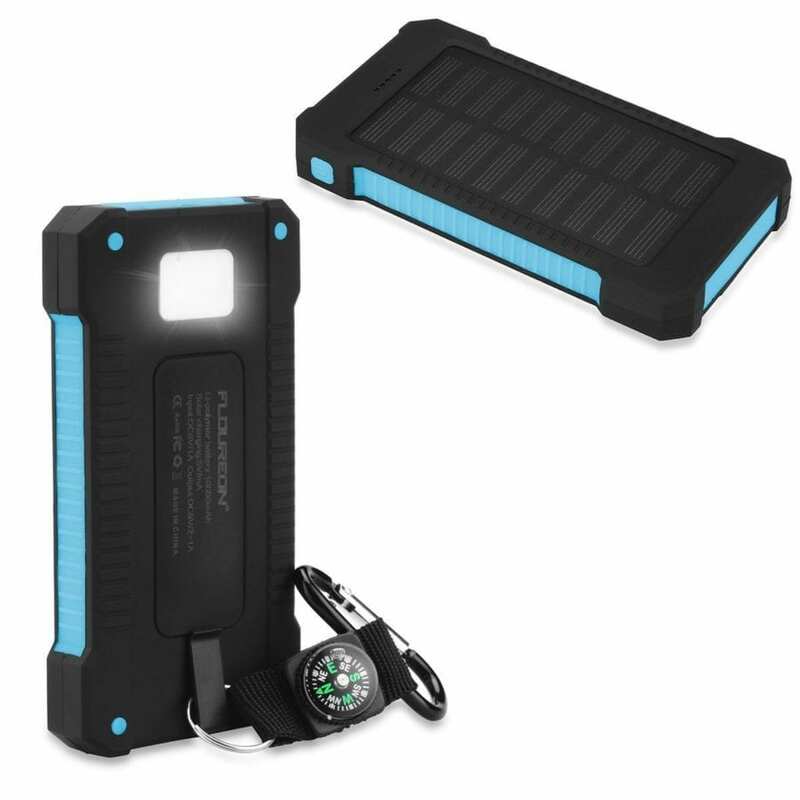 Give Dad a little insurance for his electronic devices with the Floureon Solar Power Bank wherever he is headed. 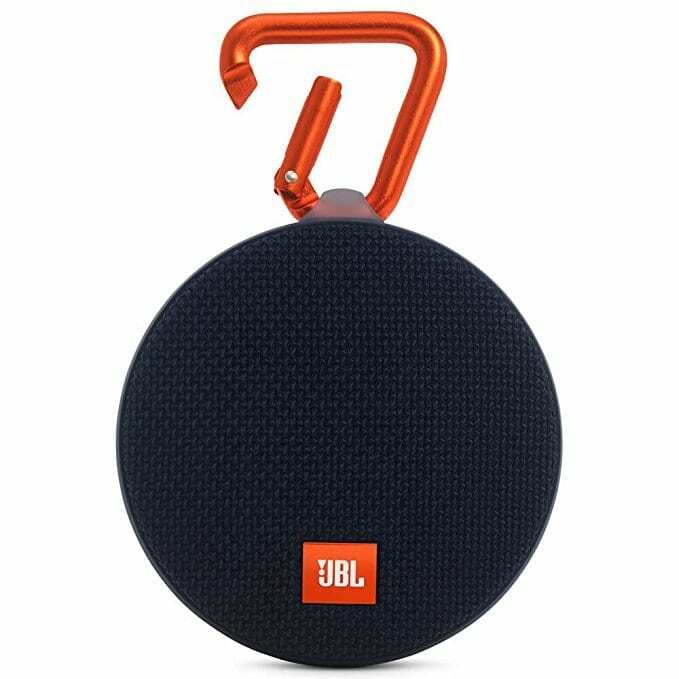 Let Dad bring his music everywhere with the portable design and powerful sound of the JBL Clip 2 Speaker. The bluetooth technology facilitates track selection from the palm of his hand and supports clear, noise and echo free wireless phone calls with its built-in speakerphone. The traditional stereo input pairs nicely with devices not blessed with Bluetooth, such as older media players and laptops. Battery life lasts an impressive eight hours, ensuring a day’s worth of rockin. This palm-sized speaker easily tags along on action-packed adventures and hikes to remote camps, thanks to its upgraded easy clipping carabiner. The IPX7 water-resistance shakes off oncoming showers and light submersion, making this speaker a smart choice to take along on any adventure. Wireless Bluetooth Streaming -Wirelessly stream high-quality sound from your smartphone or tablet. 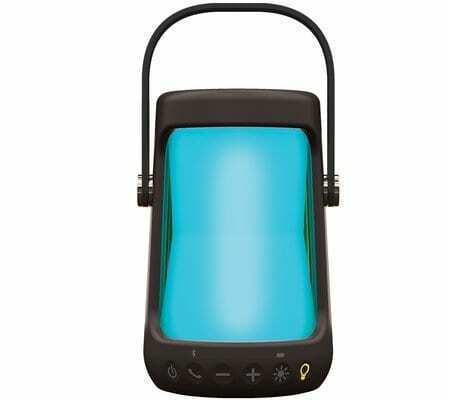 Rechargeable Battery – Built-in rechargeable Li-ion battery supports up to 8 hours of playtime. Speakerphone – Take crystal clear calls from your speaker with a touch of a button – thanks to the noise and echofree speakerphone. Built-in Carabiner – Hook the Clip 2 onto anything you see fit and take it on every adventure. IPX7 Waterproof – No more worrying about rain or spills; you can even submerge the Clip 2 in water. Wireless Daisy Chain – You can wirelessly connect two Clip 2 speakers together to enjoy amplifi ed sound. Integrated 3.5mm Audio Cable – No Bluetooth, No Problem, plug the audio cable into it and enjoy the music. The HydraPak 8L Expedition practically packs flat so you can take it on faraway backpacking trips through the wilderness. 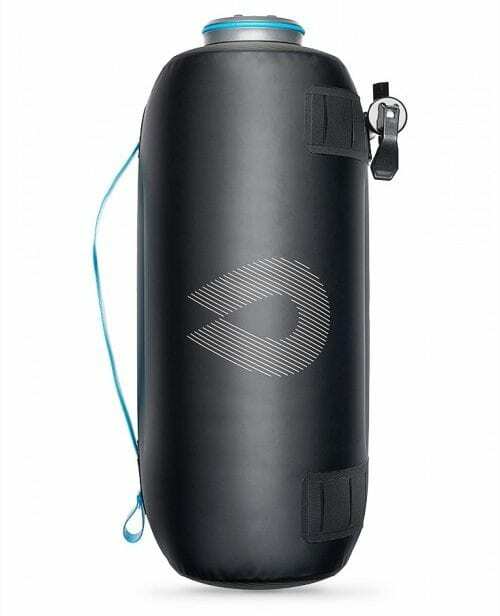 Made with ultra-durable, abrasion resistant, water-proof nylon TPU film laminate, this water container compresses, collapses, and is a convenient choice for any camping trip. Its dispensing tap inserts into a Plug-N-Play cap to create a versatile dispensing solution that delivers a high flow rate so you can get the final drop before you have to go fill up another round. The HydraPak 8L Expedition is a lightweight water storage solution perfect for car camping or water at base camp. It has a flexible handle that allows for effortless carrying and hanging and a free standing design with dual baffles for stability. The HydraPak 8L Expedition is the way to go for the space saving focused Dad. 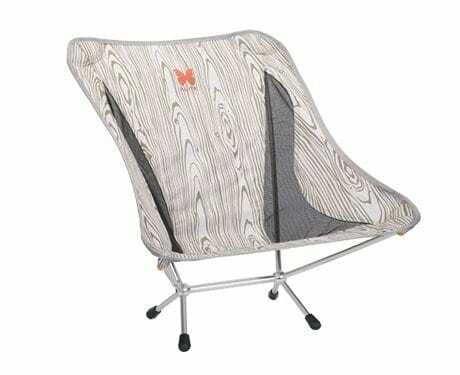 Give Dad the gift of comfort, to let him enjoy campfires, cold beaches, and home in the warmth of Klymit’s Versa Blanket. The Klymalite™ synthetic insulation provides better loft than most blankets, and the 20D soft-touch polyester will keep Dad cozy and warm. 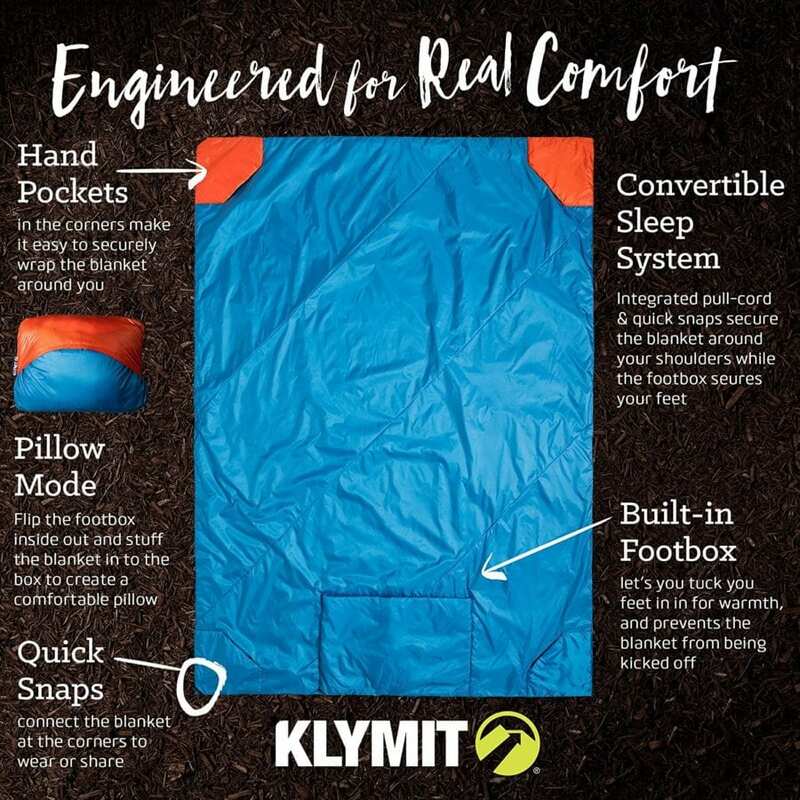 Klymit added hand pockets, a footbox and quick snaps so Dad can wrap the blanket to wear for extra coziness. 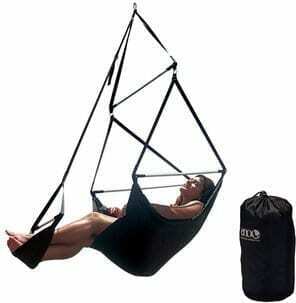 The Versa’s footbox ensures compact storage during camping trips and can also be used as a pillow. The 58 x 80 inch Versa can completely surround one person, or even be shared with a friend. Let Dad take charge with the Coast HP3R Flashlight, whether he is going for a moonlit hike or gathering firewood for the campsite. 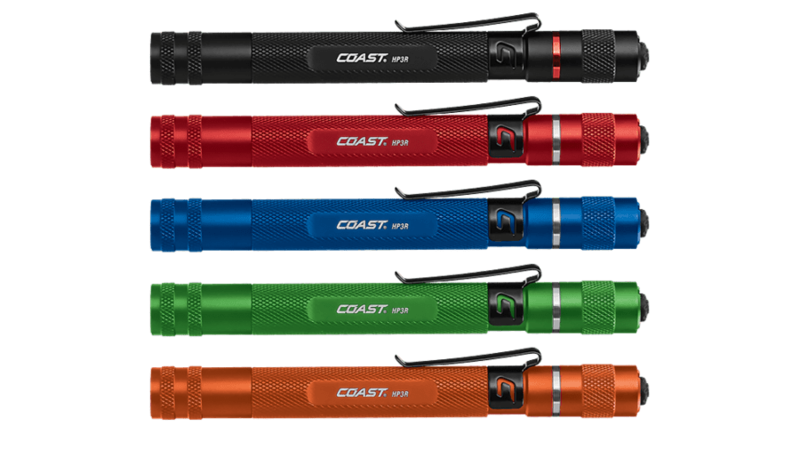 With high and low modes and the twist focus, this light is a supercharged penlight that is prepared for any outdoor task. The HP3R Flashlight is impact and weather resistant and its LED is virtually unbreakable, so it doesn’t mind the occasional rain storm or accidental drop. With the Flex Charge Dual Power system, the light harnesses either lithium or alkaline power and using a micro USB, Dad can recharge the batteries in the light or quickly swap out to alkaline when needed. The HP3R Flashlight is pocket-sized and ready to be deployed at a moment’s notice. Help Dad get a good night’s sleep with the lightweight packability of the Therm-A-Rest ProLite Self-Inflating Pad. The internal construction is designed to provide maximum stability and comfort while minimizing weight and packed size, so Dad has room for more important items, like his food. The self-inflation keeps set-up super-easy and the pad can be topped off with just a few breaths to his personalized firmness. The die-cut foam packs small, easily fitting inside most ultralight packs and its stuff sack makes sure the pad doesn’t bulk up when space is a concern. 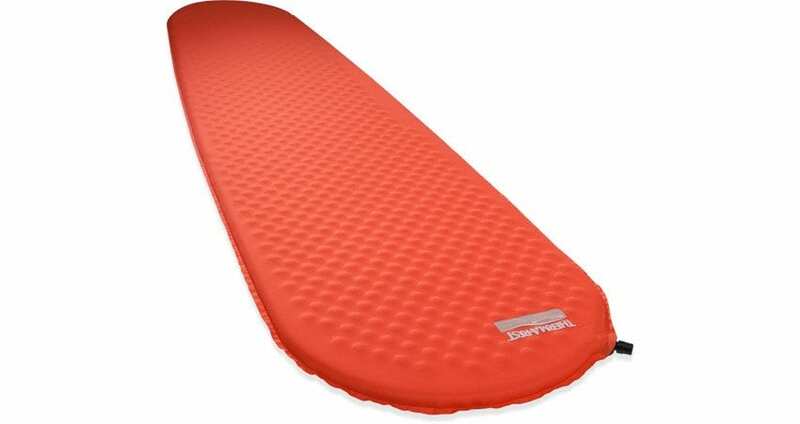 The result is a sleeping pad perfected for campers and backpackers who want their comfort but are tight on room. Bring Dad’s campsite into the 21st century with the Cairn XL Smart Lantern. Not only does it deliver a powerful 350 lumens fit for large groups, but it also packs flat for efficient storage and is equipped with smart technology so Dad can control it straight from his phone. In this little package is an ultra-bright 350 lumen LED lantern, up to four mobile device charges, up to 250 hours of light time, and Bluetooth connectability. The Cairn XL features a 10,000 mAh battery, which produces a stunning illumination for up to 400 hours on a single charge. The free Cairn XL app will allow Dad to control power, dimming, color, light alarms, proximity lighting, battery settings and a light strobe. Now he can modify his lighting experience to meet his needs. The uniquely rounded-square design can easily be stowed in backpacks or jacket pockets, making the Cairn XL the perfect light source to bring to any base camp. Packing a serious punch, the iBT91 Bluetooth Lantern Speaker does way more than just play music. 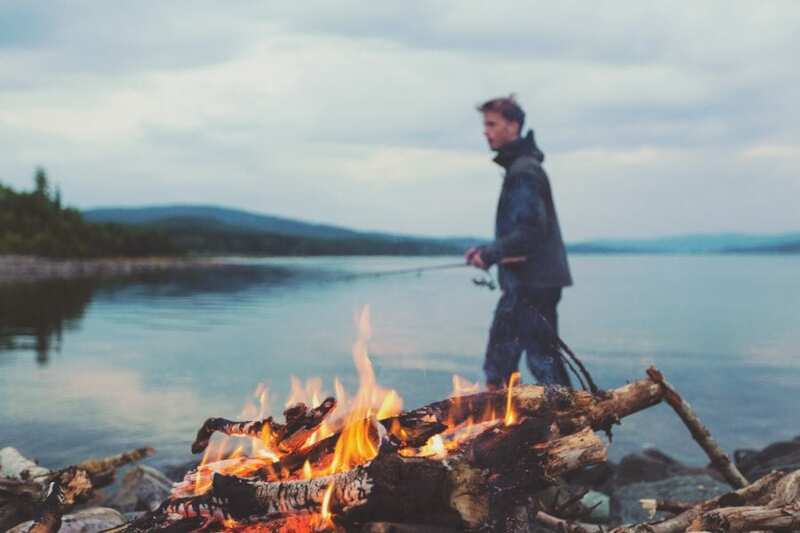 Whether Dad’s deep in the woods on a camping trip or at a backyard BBQ this wireless speakers range of talents will keep the night alive and well. Dad can stream music wirelessly from his Bluetooth-enabled device and enjoy the music without missing a call. It works with the free Melody voice powered music assistant app to play music from iHeartRadio, Spotify and more. Equipped with USB output, Dad will be able to charge his smartphone and other portable devices. 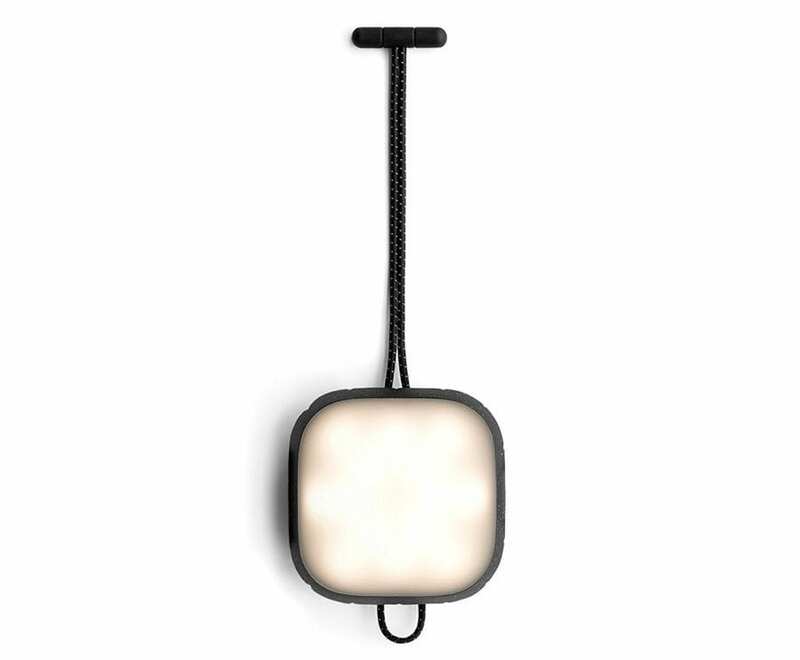 The lantern has five fun color modes which can be controlled via free app; glow (slow fade), fast, favorite color, pulse to music, and preset pulsing mode as well as an emergency blinker. For devices lacking bluetooth there is an aux-in jack to play audio from any device equipped with a headphone jack. The 13 hours of rechargeable playback time, and the IP65 splash-proof rating, ensures this puppy handles a little rain and keeps on truckin’ without dampening the mood for Dad and his buddies. 4 LED lantern modes: Hi (white light), Mid (50% brightness) Low (amber night light), Hazard (fl ashing red light) and Off . From a rowdy tailgate to a rural camping outpost, Pelican Elite coolers are Grizzly Bear Certified to withstand life’s adventures – from the every day to the extreme. The 20QT Elite holds 15 beverage cans, or up to 19 liquid quarts, and the dual-wall exterior, extra-thick polyurethane foam core, and freezer-grade O-ring allow the cooler to do what it does best: deliver extreme ice retention. 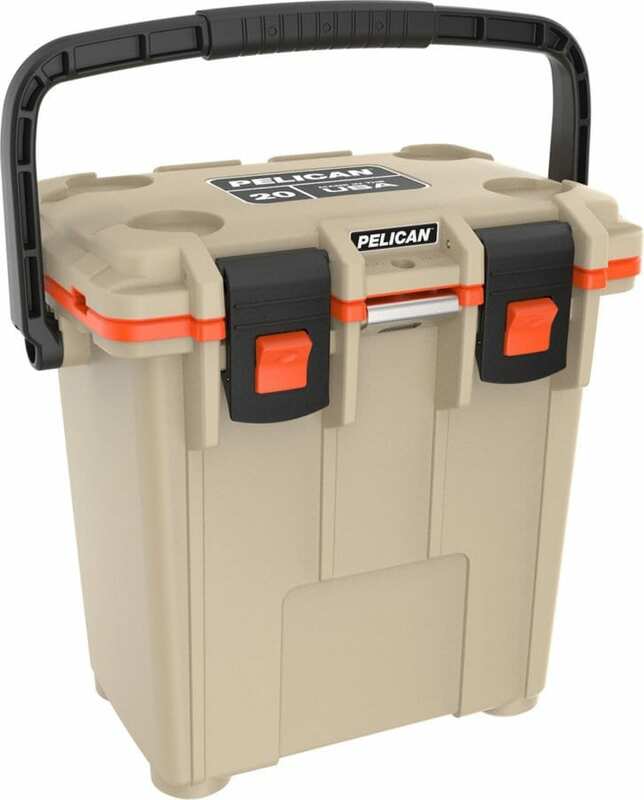 From the latches to the freezer-grade seal to the toughest handles in the business, every part of the Pelican Cooler is engineered to extreme durability and high performance standards. So, whether Dad’s camping with the family, on the hunt of a lifetime or simply tailgating during a big game – the Pelican™ 20 Qt. Elite Cooler is the one he will want and be able to use for the rest of his life, thanks to Pelican lifetime warranty. Built-in Bottle Opener – The molded-in lock hasp keeps your contents secure and serves as a bottle opener.